FoolProofMe - Should Gas Prices Influence Your Next Vehicle Purchase? Over the last few months, falling gas prices have made drivers a little giddy. Just the other day, a friend who drives a compact noted cheerfully that she had filled the tank for just a little over $20, something that hadn't happened in years. Since gas prices peaked in mid-2014, sales have increased about 8% for large pickups and SUVs while they've decreased about 1.5% for small cars (Edmunds.com). Lower gas prices are probably just one contributing factor to this trend, but as an easy-to-see and ongoing cost of driving a car, lower gas prices may tempt you to put that 20 mpg SUV or 18 mpg pickup at the top of your choices as you shop for a new vehicle. Before you sign for that bigger set of wheels, however, think about—and compare—several other costs of owning a car. You could save hundreds at the pump in the short term and spend thousands more long-term. 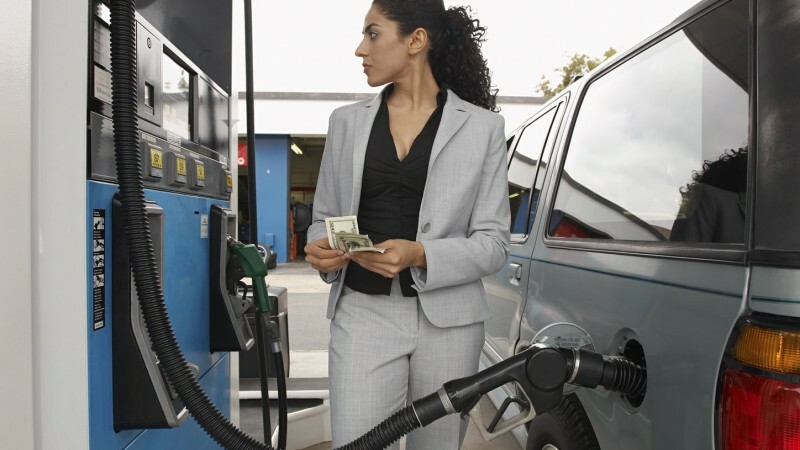 You could save hundreds at the pump in the short term and spend thousands more long-term. As a rule, large vehicles cost more than mid-size and smaller vehicles. Within the same class such as large SUVs or mid-size sedans, prices can vary. A late model used vehicle will have a lower purchase price than the same model new. Rebates and other incentives such as tax credits for alternative fuel vehicles can also influence the overall purchase price of a vehicle. For example, a large SUV and a roomy sedan might have equivalent room for family and cargo, but the SUV typically will have a larger purchase price. The greater the cost of the vehicle, the greater the amount most buyers will have to finance. Even if you can get the same great low-interest rate on a full-size pickup and a midsize SUV or sedan, the greater the amount you borrow, the more you will pay in overall interest costs. In some cases, the difference in interest you would pay on the larger loan for that SUV compared to the smaller loan for that midsize sedan could cancel out gas savings. And that's if gas prices stay low for the long-term. Recent history suggests that's not likely. The total cost to own and drive a vehicle goes way beyond purchase price and interest on the loan. In addition to gas, you must consider the cost of insurance, taxes and fees, regular maintenance, repairs, and depreciation. Read this Consumer Reports article for a good explanation of these costs. In addition to Consumer Reports' website, several automotive websites such as Edmunds.com and Kelly Blue Book (kbb.com) have interactive tools that help you compare average costs over 5 years for different vehicles. For many people, the value of a particular vehicle may go beyond its overall dollar costs. For example, safety ratings are very important to many people. For others, the value of a fuel-efficient or alternative fuel vehicle (hybrid, electric) may be that it can play a role in their commitment to reducing their carbon footprint. The size of one's family or specific business needs, for example, may influence the choice of a vehicle. As you can see, the cost of gas is a relatively small part of what it costs to buy and drive a vehicle. So the smart way to buy a vehicle is to look first at how much vehicle you can afford—to create a realistic budget. Our Car Buying Guide shows you how to determine a budget based on the value of your trade-in and/or down payment and the sum of money you can afford to borrow. Then start researching new and used vehicles that meet your needs within your budget. Don't forget to consider late model used vehicles. With gas prices low, now may also be the time to consider fuel-efficient cars because lower demand for them may mean lower or more negotiable prices. Although, gas prices are low today, the overall trend for the last 15 years has been up and up. So shop smart. Start now with our buying guide.